I’m in the process of compiling a collection of sixteen short stories for publishing and distributing. I’d like to submit it to some places, but I also will make some hand-bound collectable copies for those who are interested. Last time I hand-bound, I had one-of-a-kind covers that were unique and sculptural. I’m still in the revision stages, but hopefully you can expect to see a physical, nicely made copy of one soon. If you are interested in a copy, let me know and I’ll start thinking about what I can make just for you. 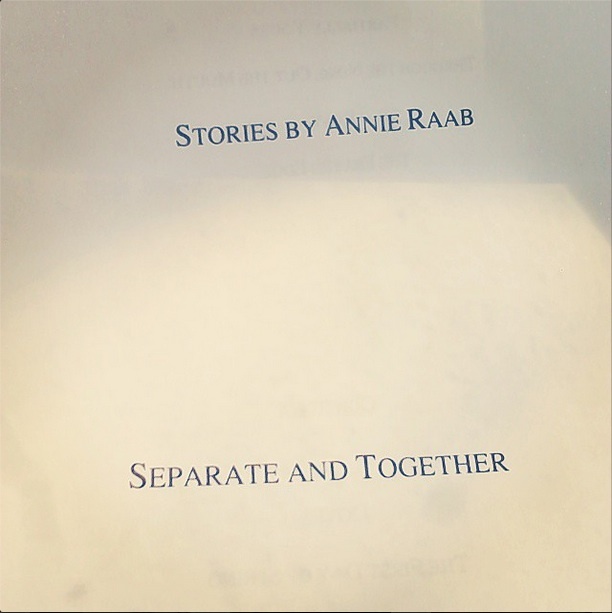 This entry was tagged annie raab, annie raab fiction, annie raab writing, kansas city writers, prose. Bookmark the permalink.